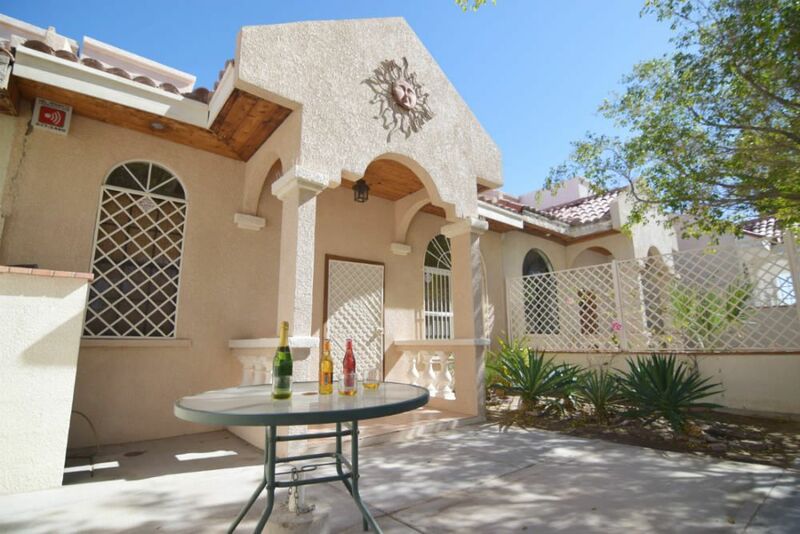 This home is managed by MySanFelipeVacation - San Felipe's one stop portal for all your rental home needs. or fire up your ATV's for a ride on the dunes, along the beach or miles and miles of beautiful desert exploration. This south of town home offers beautiful views, a neighborhood atmosphere and secure parking all within a short walk to the beach. Spend time in San Felipe's little fishing village enjoying the restaurants, nightly entertainment and frequent festivals. San Felipe hosts the famous Shrimp Festival, Tequila Festival, the Baja off road races, Blues and Arts Festival, Mardi Gras, a terrific Chili Cook-Off, Spring Break and Semana Santa, just to name a few. You may just like to sunbathe or enjoy the incredible sunrises and sunsets from either the rooftop deck or back patio, both facing the sea. Or, you may prefer to snuggle around the fire-pit with a cool margarita and enjoy your favorite tunes. See you soon! Hi Guys, my name is Erick and I run MySanFelipeVacation homes. I'm originally from San Felipe. I moved to the US as a kid and went to school in Oroville, California. I moved back to San Felipe, got married and have two beautiful kids. Growing up in the US, I learned a lot about the high standards guests expect and have brought this experience to all properties I manage. My listed homes are owned by Americans and Canadians who visit once or twice a year. When owners are not in town, the home is available to reserve. Each home's decor is unique in that it reflects the owner's style. My goal is to help you enjoy San Felipe to the fullest. When you reserve any of my homes, I will send you an email with a list of things-to-do both locally in San Felipe and some which are day trips. (I am not able to share this with you now as Airbnb does not allow adding website links). Depending on the length of your stay, you get to chose which you'd like to do. One of the trips I recommend is doing a fishing trip to Konsag essentially a fishing and sightseeing trip. All this and more will be in my list of things to do email. One question I get pretty often is whether we use non-toxic cleaning products while cleaning properties I manage. The answer is YES . We use organic cleaning products sourced from the local Prolisa organic store. Our guests appreciate this and it is also better for our cleaning crew who regularly come in contact with the cleaning products. During your stay, please do not hesitate to contact me with any questions or if you need tips. I look forward to hosting you. Peace an tranquility where you will be close but at the same time away from downtown and all the noisiness MONTHLY RENTALS: Utilities are extra. A $300 utility deposit is required on arrival. Utility bills will be provided to guest. Well equipped, clean, great service, clear directions, great prize. Loved having access to the rooftop, furnished living space with great view. Wasn't super thrilled with the neighborhood and we had no air conditioning the first night but overall the house is very nice and clean and close to everything. The folks at the rental place were excellent and very responsive. Enjoyed our stay !!! The perfect place to ride your quad out the back and onto the sand and into town and beach! The house was very updated and attractive and was very well equipped with anything you need. Just bring beach towels and maybe a few extra bath towels if you like extra towels. Plenty big enough for the 2 of us. There is a comfortable futon in the living room for family or another couple. And 2 full bathrooms as well. The place has lots of extras like books and dvds. They pretty much thought of everything. At first we were concerned with the heavy security doors and windows, but soon realized we were perfectly safe there and would stay there again for the convenience of getting into town.